On Thursday evening I thought it might be a nice idea to do a fun response to the Sight and Sound poll for the film blogging community. Thankfully, so did many others, and what started as a throwaway tweet has now grown to over 120 contributors, some from individual blogs, others within UK sites (including Eat Sleep Live Film, Bleeding Cool, The Hollywood News, CineVue and Best For Film), alongside podcasters and other enthusiastic cinema lovers. You’ll notice this is a truncated version compared with the 50 films which occupy the Sound and Sound list, but I think you’ll all agree that a top ten works just as well. A huge thanks to everyone who sent in a list, it’s been an incredibly fun couple of days compiling everything (a high five also goes to my wife for all her help). The ten films below fall somewhere between Sight and Sound’s list and the IMDb Top 250, but on the whole, responses was pretty varied which I think highlights what is so great about the online world, and how all cinematic tastes and preferences can live together, ‘We Are The World’-like, in (almost) blissful harmony. No real huge surprises here. The Big Lebowski and Taxi Driver sit just outside the leaders with 12 votes apiece. Sight and Sound’s top ten include two of these titles (Citizen Kane and 2001: A Space Odyssey) and it’s number one (Vertigo) is another which falls a little shy of the list, with 12 votes in total. 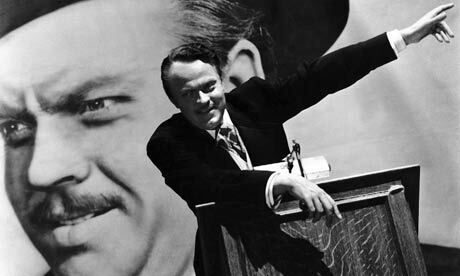 Both Citizen Kane and ‘2001’ crop up again in Sight and Sound’s director’s top ten films, which also includes others films which factored pretty high in the overall votes (the aforementioned Taxi Driver and Vertigo, alongside The Godfather and Apocalypse Now). Outside of the top ten, Woody Allen classics Manhattan and Annie Hall received a decent amount of votes for the number of participants involved (eight and ten, respectively), while Scorsese’s highest entry was Goodfellas with 11 votes. David Lynch’s Mulholland Drive was the most popular of his films, gaining 10 votes (the nearest after that was Blue Velvet with three) while cineaste fave Terrence Malick didn’t fare quite as well. Badlands received three votes, while Days of Heaven and The Tree of Life managed just a single nod each, joining the likes of Thor and Bridget Jones’s Diary, and meaning that violent online confrontations may not have been averted as yet. Thanks again to those who participated (my DM list will never look so plentiful again) and I’ll be hitting you up for a new list in 2022. Individual lists of contributors are on the next couple of pages, where I’ve also tried to include all the twitter names I received. I’ve misplaced a name, so a title is missing from one list. If you recognise this to be yours, please DM me and I’ll rectify. My apologies if there are any slight typos in names.